James Pearce completed a Bachelor of Medical Science degree at the Australian National University in 2010. 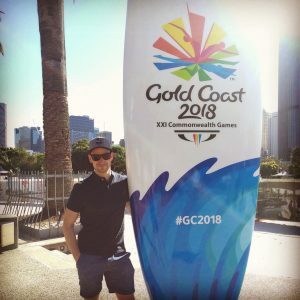 He then went on to receive his post-graduate qualification in physiotherapy from the University of Melbourne and recently completed his Masters of Physiotherapy in Sports through the University of Queensland. James is now an APA Titled Sports Physiotherapist and is also a ACT Sports Physiotherapy Association committee member. James has been working in private practice for the past five years and has a particular interest in hip, knee and ankle injuries. He enjoys using a combination of manual therapy, dry needling and exercise rehabilitation to help his clients reach their goals. James is an avid sports fan and has a particular interest in basketball, soccer and rugby union. James is currently the head physiotherapist for Eastlake Football Club in the Canberra AFL. He has spent time working with the ACT Brumbies Junior Rugby Union Academy, ACT OzTag, National Indigenous U23 Rugby Union Team and the Woden Valley Gladiators Gridiron Team. He has also spent time working with specialist sports physiotherapists at the Queensland Sports Medicine Centre and overseas at New York Sports Medicine, where he was involved in the rehabilitation of elite athletes. During his spare time, he enjoys coaching and training at a CrossFit gym, playing OzTag and hiking.